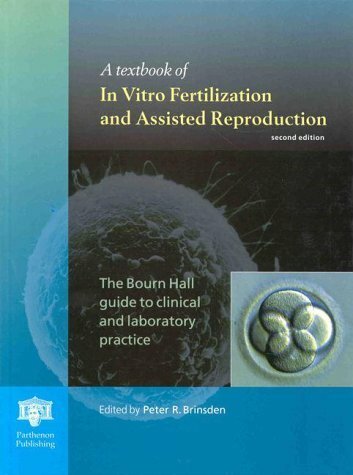 The first ever report on the state of the fertility sector has been released by the Human Fertilisation and Embryology Authority (HFEA). It highlights marked improvements in several aspects of performance, including the reduction in multiple birth rates, and addresses shortcomings in the IVF sector. The report by the independent regulator of fertility services in the UK brings together previously separate reviews to provide an overview of how clinics comply with regulations, quality of service, reduction of multiple births, and learning from feedback and experience. It shows that the rate of multiple births has decreased from 24 percent in 2009 to only 11 percent in the financial year 2016-17. This contributes to the reduction of health risks associated with multiple pregnancy and birth. 'The dangers of [multiple birth rates] are well known to all health care professionals but are often underestimated by the wider public and the media,' said Dr Roy Farquharson, chairman of the European Society of Human Reproduction and Embryology. The HFEA puts special emphasis on the patients' experience and ways to improve gathering and learning from feedback. Last year, 71 percent of patients were happy with the care they received and only 8 percent made negative comments. However, the number of patients giving feedback was low. A new star rating system has been introduced, which is expected to increase the response rates and allow for deeper insight into the service. The report also looked into non-compliance and areas for improvement. Overall, the rate of compliance was high, with 74 percent of clinics receiving five-star inspection rating. There was also a reduction in the number of incidents as a proportion of treatments. However, the absolute number of reported incidents increased from 497 in 2015 to 540 in 2016. This included one grade A incident (the most severe), 176 of grade B, and 325 of grade C.
The single grade A incident involved the birth of a baby with the genetic condition cystic fibrosis after doctors failed to identify the parents as genetic risk carriers. There was no system in place to ensure that the reports from the laboratory were properly reviewed by the clinicians, the report found. A new process for results management has now been put in place to avoid such mistakes in the future. There are 132 licensed clinics and 76,000 treatments taking place each year in the UK, highlighting a need for continuous monitoring for performance and compliance to regulations. HFEA is committed to maintaining the high standard of care and performance, it says. 'We will continue to work with all our licensed clinics so that they strive to continually improve and maximise the chances of success for patients seeking their much longed-for families,' Sally Cheshire, HFEA chairwoman said.